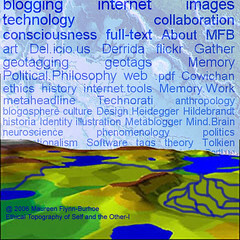 Schmap is the latest of the web 2.0 technologies that heighten my connectivity on the Internet. 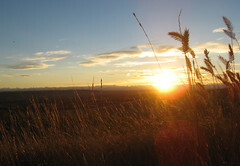 One of my Creative Commons Flickr photos of Calgary’s Nose Hill Park was picked up by Schmap through Flickr’s powerful Search Engine Optimized tagging tools – folksonomy for Flickr photo folks. We were planning a trip to the 12 Days of Christmas at Calgary’ Heritage Park. As I use Schmap to prepare for our outing this weekend, I feel somewhat like a 2.0 volunteer in my newly-adopted city. North Carolina-based Schmap has been operating since 2004 providing free digital travel guides for 200 destinations throughout the United States, Europe, Canada (with Calgary as one of its highlighted cities), Australia and New Zealand. They also offer an innovative technology that lets bloggers insert schmapplets – a range of fully customizable map mashups and map widgets on their personal blogs. I have tried to add the widget to Speechless but it didn’t work. Probably just as well as I am concerned that my WordPress blog is slow to open on machines that don’t have my images and files in cache. The Semantic web evolves as web architects attempt to become visible to search engines and web searchers attempt to find information. One of the tools for connectivity involves clusters, clouds or groups of words. A useful datamodel concept is the synset1, a word grouping that uses the same word in different groupings according to different meanings of the word as synonym, antonym etc. Is is because of computer-generated or author-generated synsets that the results take on an ironic postmodern schizophrenic feel combining Jon Stewart clips, Naomi Klein and anti-imperialism with advertisements for jobs on the tar sands and lucrative energy stock investments. Alberta Oil Blog. 2007. We have oil America so protect us.” albertaoilblog.com September 24. Alberta Oil Blog. 2007. 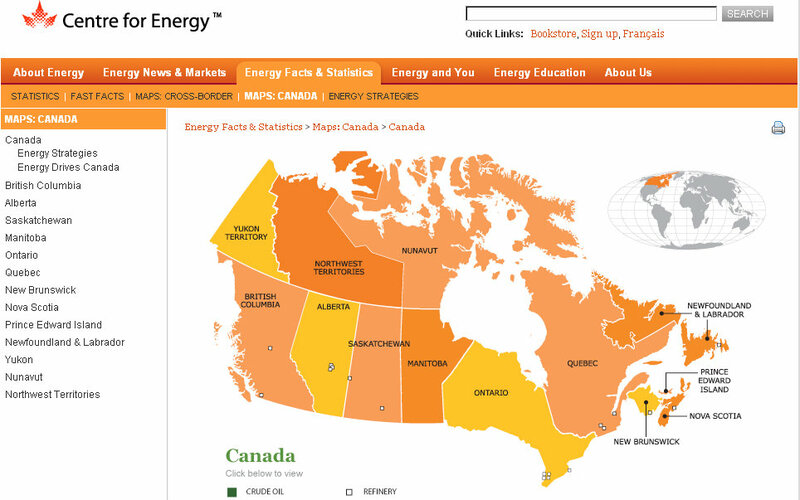 Alberta’s Royalty Report, “Our Fair Share” albertaoilblog.com September 23. Alberta Oil Blog. 2007. Oil Sands stocks a good buy right now.” albertaoilblog.com September 23. Alberta Oil Blog. 2007. Oil Royalties debate sweeps Alberta.” albertaoilblog.com September 23. Alberta Oil Blog. 2007. “Suncor Pumps H2S into the Environment.” albertaoilblog.com September 22. Alberta Oil Blog. 2007. “On the Map with Avi Lewis: Alberta Oil Sands” albertaoilblog.com September 22. Flynn-Burhoe, Maureen. 2007. “Synset, Semantic Web, CBC and Alberta Oil” >> Speechless. September 25. Ethnoclassification in the broadest sense refers to “how people classify and categorize the world around them (Merholz 2004).” Star (1996) used the term ethnoclassification in reference to the work of her research group who were exploring the convergence of the sociology of science and the sociology of work with digital libraries. Their work, as ethnographers in a way, involved tracing the web backwards by observing how readers and writers routinely adopt and adapt formal classification schemes with their own personal everyday classification systems in their local work spaces, filing cabinets, computer desktops, web browsers, and group-level software (Star 1996). Faceted browse interface or faceted tagging refers to a trend in support for finding information with tags that goes beyond tag clouds. Sinha uses the example of the interface of wine.com which can be browsed under the facet of price, region, type which can be undertaken in any order: region:price or region:type (Sinha 2006). Hebig (2005) used the term structured tagging and semantic tagging. He applied the idea of faceted navigation to tagging using tags consisting of a prefix, a colon and a suffix like is:quicklink, project:ilm or via:papascott. Buzzword: structured tagging. He noted that Rainer Wasserfuhr was using colons in a similar way to create faceted tags in his deli.cio.us bookmarks. Folksonomies are categories, tags or key words used by writers and readers to facilitate and optimize Internet searches. The communal virtual archives is flooded with unending torrents of digital data and users need high performance search devices to optimize search engine results. The term ‘folksonomy’ (volksonomy) coined by Vander Wal in 2004, captures the spirit of a revivified Internet where users train and are trained to use free software. 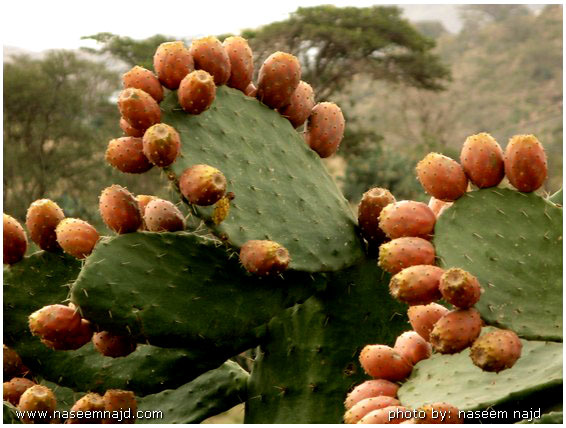 Although I find the term itself to be inelegant, I use it because of its brilliance. It works as a key word searching device. See (Smith 2004, Mathes 2004, Vander Wal 2007). If I type folksonomy I will probably find sites related to my own interest in connectivity/content issues. For many people Googling is already a verb used in everyday language, helping users navigate and find instead of surfing and searching for information on the Internet. I have worked with key words in bibliography software EndNote for many years. Now I can share other users searches with social bookmarking freeware such as deli.cio.us, Swicki and Google’s own user-customized-search. Sites that are tagged with efficient, relevant tags (folksonomies) on topics that are situated within current conversations, will get more hits. Hebig, Haiko. 2005. “Semantic tagging.” >> http://hebig.org/blog. Accessed June 15, 2007. Mathes, Adam. 2004. “Folksonomies, Computer Mediated Communication, LIS590CMC, Graduate School of Library and Information Science, University of Illinois Urbana-Champaign, December 2004. Accessed October 2006. Merholz, Peter. 2004. “Metadata for the Masses.” >> Adaptive Path. October 19. Accessed June 15, 2007. Sinha, Rashmi. 2006. “Findability with tags: Facets, clusters, and pivot browsing.” >> http://www.rashmisinha.com. July 27. Accessed June 15, 2007. Smith, Gene. 2004. “Folksonomy: Social Classification.”>> atomiq Posted in: Information Architecture on Aug 3, 2004. Accessed June 18, 2007. Star, Susan Leigh. 1996. “Slouching toward Infrastructure.” Digital Libraries Conference Workshop. Illinois Research Group on Classification. Graduate School of Library and Information Science University of Illinois. Accessed June 15, 2007. Vander Wal, Thomas. 2007. “Folksonomy Coinage and Definition.” February 2. Accessed June 18, 2007. ©© Flynn-Burhoe, Maureen. 2007. “Ethnoclassification, Folksonomy, Tag Clouds and Faceted Tagging.” >> Speechless. June 15. ©© Flynn-Burhoe, Maureen. 2007. “Ethnoclassification, Folksonomy, Tag Clouds and Faceted Tagging.” >> Google docs. June 15. I created the first Adobe Photoshop digitage above called “Folksonomies” (2006) was an image I generated from my Del.icio.us tag cloud. Deli.cio.us is one of a number of Web 2.0 technologies I have been using since September 2006. Deli.cio.us is a free social bookmarking tech tool that works with folksonomies, tagging or tag clouds. The other layers are a title layer, google generated 3-D virtual space with branching rivers as metaphors for organically emerging rhizomic pathways, a miniaturized image of Vancouver, BC’s skyline, and an altered topographical map of a site where a meteor landed. This final layer was inverted so the meteoric collision with the planet became the sun in this delicious cloud. 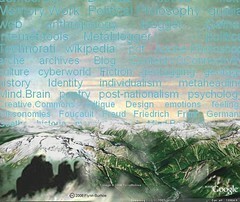 The second is called Folksonomy II (2006) using another of my Del.icio.us tag cloud tag as a backdrop for the BC mountains merged with a section of Friedrich’s painting of the German Romantic period.